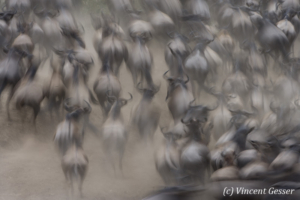 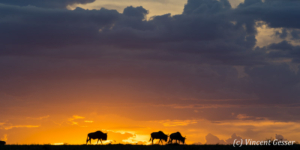 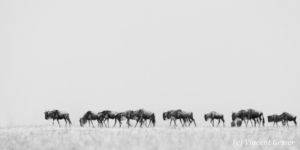 Considered by many as the 8th wonder of the world, the Migration of Wildebeest across the vast plains of the Masai Mara and the Serengeti is a unique phenomenon on Earth. 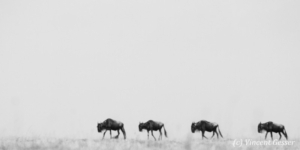 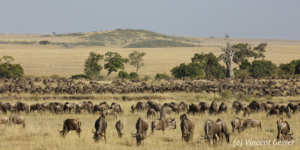 Hundreds of thousands of wildebeest follow an annual cycle that seems to be a function of the food abundance, the availability of water, predators and the level of phosphorus in grasses. 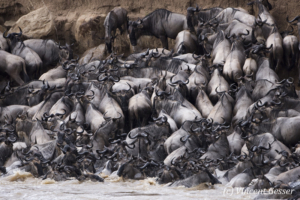 Their crossings of rivers are most spectacular, epitomising the migration and the fight with the elements and predators.